The firm of King’s Funeral Service was founded in 1887 by Daniel T. King Builder, Joiner, Cabinet Maker, Undertaker and Lay Preacher, with the addition in later years of Retail Furniture, Paint and Hardware, under the direction of his son Walter King and in more recent years, continued to flourish under the joint management of Walter’s two sons Keith and Jack. In 1958 Denny Chew was employed by the firm of Kings Carterton Ltd specialising in the funeral side of the business. In 1978 Denny & Norma Chew purchased the Funeral operation consisting of a 1961 Dodge Hearse, some plant and stock and a short term lease of some of the building and at Kings request traded under the name of D & N Chew Kings Funeral Service. In 1980 Denny and Norma purchased Renall’s disused builders and joiners depot in Richmond Road, converting it into a modern Funeral Home. At the time of occupation of the building the name “Kings” was deleted and trading continued under the name of D & N Chew Funeral Directors. It seemed that in town planning negotiations, the names undertakers parlour and morgue had been heard so many times that it was decided to add the name of “Richmond Funeral Home” to the building. A name that seemed to harmonise well with the surroundings as the property is situated in a road of the same name. “Richmond Road” in Carterton. In 1997 after many years of committed personal service to families in the Wairarapa Denny and Norma Chew retired. The business still continues under the name of Richmond Funeral Home but with Peter and Jenny Giddens at the helm. 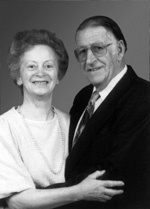 Denny Chew died in December 2011 but Norma still has a personal interest in the business and continue to support and assist Peter and Jenny, often on the organ at chapel services, when required. In 2001 the addition of a Cremation Facility owned and operated by the company and situated at the Clareville Cemetery further enhanced our service to the community. In 2007 a new Chapel facility “The Richmond Chapel” built next to the existing Funeral Home in Richmond Road Carterton further compliments the services offered by the Richmond Funeral Home.